This Beneteau Antares 11 is very well equipped! The boat is a first hand and in remarkable condition. Since his first sail, the owner has keep a logbook in which all navigation were recorded in details! This tells a lot for his love to his Antares and explains his great condition. Engines always had an overhaul facility after each 100 hours. The teak at the stern has been completely cleaned and looks great now. 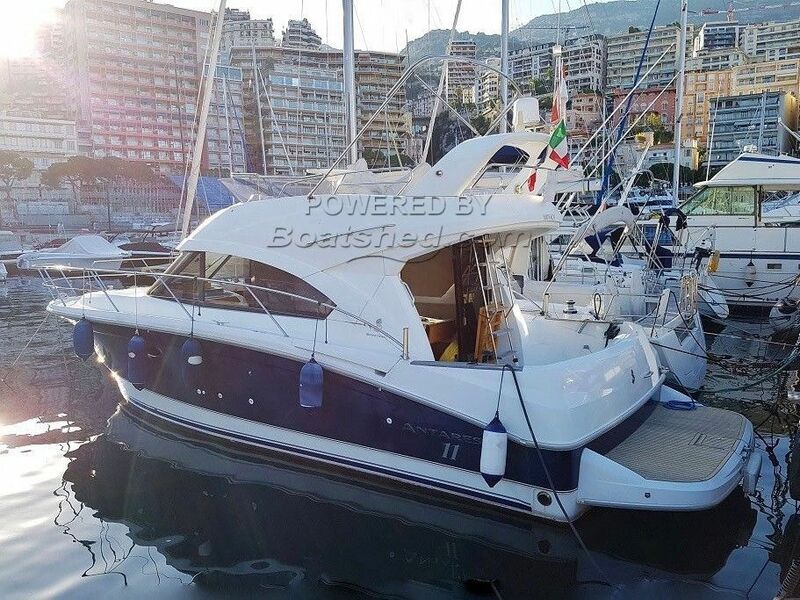 This Beneteau Antares 11 has been personally photographed and viewed by Antoine Perrin Daragon of Boatshed Riviera. Click here for contact details.